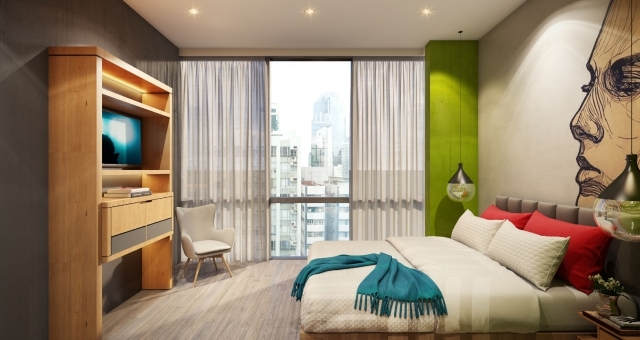 This month, Mojo Nomad Central, a ground-breaking concept that turns the traditional hotel model completely on its head, will start taking shape in the heart of Hong Kong on Queens Road Central – think micro-hotel, shared accommodation and co-working all-in-one. 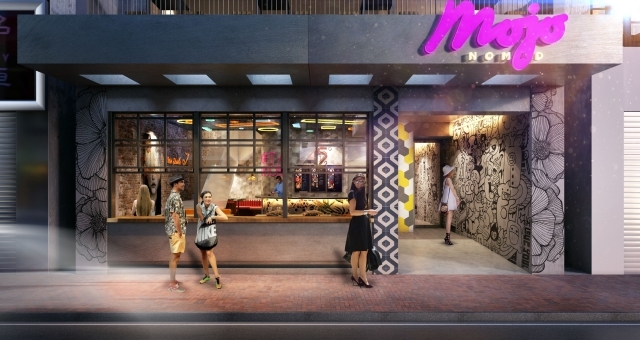 This is the second evolution for the disruptive Mojo Nomad brand by the internationally acclaimed Ovolo Hotels Group. Already open and thriving in up-and-coming Aberdeen, Mojo Nomad’s newest location gives dynamic travellers unparalleled access to the city centre, and promises to electrify the iconic neighbourhood. 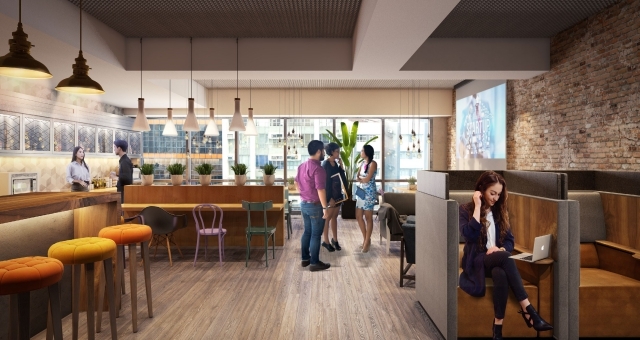 The first of its kind in the region, combining contemporary design, co-working and luxuriously compact private and shared accommodation, Mojo Nomad paves the way for a new type of value-driven design hospitality. Mojo Nomad hotels offer imaginative environments that encourage guests to connect with new people, ideas and holistic experiences, uniting them within stylish communal spaces. Surrounded by gripping interiors and art, the senses are invigorated and an inimitable atmosphere of engaging like-mindedness is created. The inspirational new hotel collection is designed for those seeking a better way of living. At Mojo Nomad, guests are able to unite around common interests and enjoy a unique style of community living, which values openness and collaboration without compromise. Mojo Nomad taps into a thriving demographic of explorers with a true zest for life, addressing the changing demands and needs of the ever-evolving modern traveller. Mojo Nomad Central offers rooms ranging from size S to XL, with two eclectic sharing room options for those looking to be inspired by others on their travels. Keeping with the brand’s commitment to integrating the latest in technology, value-added services, functionality and design, guests of Mojo Nomad Central will never want for a place to plug in. Each room is equipped with multiple USB and traditional plug sockets, as well as handy international adaptors, whilst shared rooms are kitted out with individual televisions and blue tooth headphone capabilities. A residential space on the property’s second floor is serviced by a dedicated refreshments bar, providing a stimulating flexible-use space in which to work, while working out takes place in the third-floor gym, complete with TRX, punching bags, yoga matts and more. 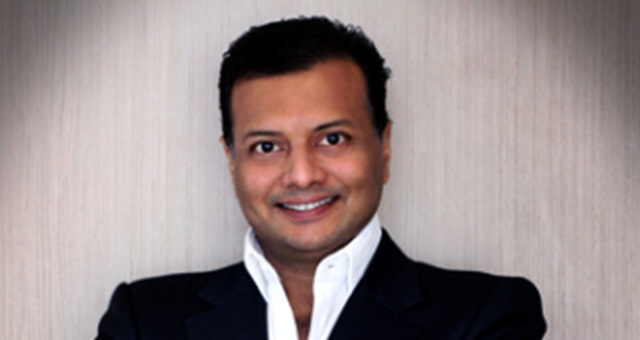 “Following on from the unprecedented success of Mojo Nomad Aberdeen, we’re excited to unleash a second Mojo Nomad property in Hong Kong, this time in the city’s bustling Central District,” says Girish Jhunjhnuwala, the visionary behind the Mojo Nomad concept, and Founder & CEO of Ovolo Hotels Group. The edgy, design-driven concept draws on the hotelier’s desire to make a difference, giving modern heroes access to a multi-use space where they can be productive, collaborate, seek adventure and experience new things. “Whether your stay be long or short, you’ll be a part of our community,” he said. A buzzing two-story Mexican eatery, Te Quiero Mucho, will serve up vibrant sharing-style plates and zingy margaritas alongside a broad selection of artisanal tequilas. The bar, which also serves at the hotel’s reception desk, is punctuated with eye-catching neon, a reflection of the high-octane experience that lies ahead at TQM. 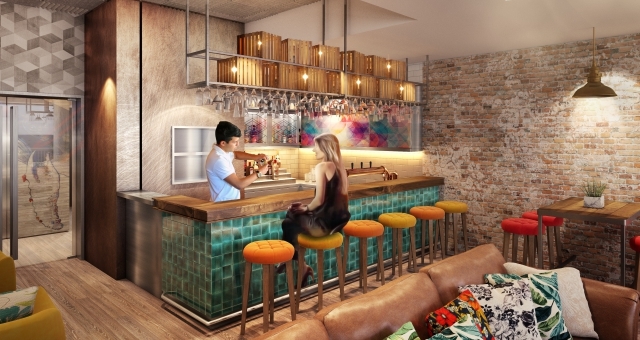 Mojo Nomad Central will open in the third quarter of 2018, with grand opening taking place this autumn.